SW-Motech Windschild Windabweiser Silber für Suzuki SCT.05.670.10300/S NEU! Farbe: Windschild: silbern, gebürstet. Basiseinheit: schwarz, matt. Ansprechendes Design, von SW-MOTECH passend zum Erscheinungsbild des Motorrades entwickelt. Das Windschild aus hochfester Aluminium-Legierung ersetzt die Original-Front aus Kunststoff. All mounting snap-style plastic hardware is included. No drilling or screws needed. Our high quality windshields are easy to operate. Just simply fold down the windshield to feel the fresh air and then easily close the window by extending it - A great way to stay comfortable in a variety of conditions. Limos with the txt body style but slightly short legnth at the top. All years after 1994 (will not fit the 1994 Marathon)will not fit 2008-up RXV.will not fit 2014-up TXT in most cases. this will not fit the NEW 2014 txt freedom top and supports either. Fits most golf cars with roofs. Tinted: Cuts Down On Sun And Still Has Clarity While Driving At Night. -Fits Club Car Models 1982-2000. All Other Stuff. Stihl Parts. Mower Parts. Chainsaw Parts and Access. Chainsaw Chain. All Stihl Products. Fits E-Z-GO TXT Models 1993 & Up. -Tinted: Cuts Down On Sun And Still Has Clarity While Driving At Night. All Other Stuff. Stihl Parts. 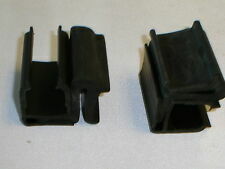 Mower Parts. Chainsaw Parts and Access. Chainsaw Chain. All Stihl Products. 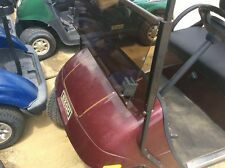 Yamaha / EZ-GO / Club Car and more. Fits E-Z-GO TXT Models 1993 & Up. -Clear Acrylic. All Other Stuff. Stihl Parts. Mower Parts. Chainsaw Parts and Access. Chainsaw Chain. All Stihl Products. DOES NOT INCLUDE WINSHIELD OR POLES. FITS 92-99 CLUB CAR DS WITH ALUMINUM OLD STYLE STRUTS FOLD DOWN WINDSHIELD. We have a catalog full of parts and accessories so if you don’t see what you need call us. EZGO TXT AS4 Certified. (Stamped into the windshield AS4). Fits: EZGO TXT 1995'-2013'. Club Car EZGO Yamaha. DOT Approved Windshield. 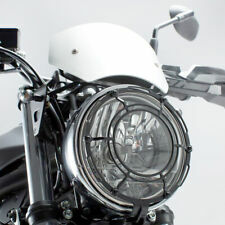 DOT Windshield are also available for E ast C oast C arts. Fits Club Car Models 2000.5 & Up. All Other Stuff. Stihl Parts. Mower Parts. Chainsaw Parts and Access. Chainsaw Chain. All Stihl Products. Windshield Tinted 1 Piece for the Club Car Precedent models. Fits: 2004-up Club Car Precedent Models. High clarity acrylic for better visibility. Fits Club Car DS Models 1982-2000.5. All Other Stuff. Stihl Parts. Mower Parts. Chainsaw Parts and Access. Chainsaw Chain. All Stihl Products. (Stamped into the windshield AS4). DOT Approved Windshield. If we don’t know we can’t help. E ast C oast C arts. Classic Accessories 40-001-012401-00 Deluxe Golf Car Windshield Cover - SKU: 40-001-012401-00. Fits most golf cars with roofs. Buggies Unlimited new quick mount windshields feature a patent pending mount design for simple installation and easy mounting or windshield removal. Acrylic for durability. Available in clear and tinted versions Designed to integrate with RedDot enclosures.